You expect your dog to jump for joy when they see you pull out their harness and leash. It means you’re about to take them on an awesome adventure, and all dogs love going on walks, right? But what happens when instead of eagerly waiting for you to hook them up, your dog runs and hides? Or maybe they cower and tuck their tail between their legs. They might even get aggressive and try to nip the hand holding the harness. Whatever their behavior, your dog is making it clear they hate their harness. You can’t read their mind, but for the sake of your sanity and your dog’s well-being, it’s time to get to the bottom of the issue. Put yourself in their paws, and consider whether one (or more) of these explanations makes sense as to why your dog hates their harness. 1. They don’t like things going over their head. For some dogs, the idea of having a foreign object slipped over their head or around their neck sends them into panic. It’s like being tied down and trapped by something that feels completely unnatural. People are used to putting things around their heads out of necessity. Unless you commit to a life of only wearing button-down shirts, you need to be okay with putting clothing over your head. Dogs, on the other hand, descend from a long line of au naturel wild animals. They don’t like the feeling of being restrained, and their head is a sensitive area. Having a harness put over their head makes them feel uncomfortably vulnerable. If your dog is fine with wearing her harness once it’s on, but puts up a fight while you’re trying to get it on her body, it might have to do with it needing to go over her head. An easy solution is to find a harness that can be put on without going over the dog’s head. A harness that dogs have to step into is a good option. 2. They’re not used to having hands near their face. Imagine a person coming up to you and fluttering their hands around your face. They’re not being aggressive, but it’s enough to freak you out. Your dog could be experiencing a similar feeling whenever your hands get near her face. The air directly around her head is her personal space, and she doesn’t appreciate those boundaries being breached—even if it’s by her favorite person. Being comfortable with human hands around their head is something dogs need to be taught. It’s an unavoidable part of their lives. They need their ears cleaned and their teeth brushed, and all that involves tolerating hands near their face. And don’t forget, putting a collar or harness on is a lot harder when your dog is doing everything they can to keep away from you. Finding a harness that avoids the head area as much as possible is a short-term solution, but it won’t help your pup overcome their real problem. Starting puppies early by calmly touching their ears and lips is an important part of puppy socialization. But if your adult dog is already past that point, you can use desensitization conditioning to make them feel more comfortable. Find the line between where your dog is comfortable and where they’re not and slowly start getting closer. You can put peanut butter on your fingers for encouragement, but don’t move too quickly. The key is to take it in steps, and never move closer until your dog is completely comfortable with your current distance. 3. The harness doesn’t fit right or is generally uncomfortable. Before you commit to a purchase, look for the harness’s sizing chart. It shouldn’t be hard to find, and it should give you size suggestions based on the dog’s chest and neck measurements as well as their weight. It’s important to remember, however, those measurements are recommendations, not rules. You’ll still need to adjust the straps for the right fit. If the harness doesn’t fit properly, it could chafe, dig into their skin, or put awkward pressure on their body. If your dog knows their harness is uncomfortable, they’re not going to want to wear it. Even if the harness is a good fit, sometimes the design isn’t right for your dog. Going for the cheapest harness you can find virtually guarantees that your dog will find it uncomfortable. You want something with thicker, padded straps that won’t chafe or dig into their body. Mesh webbing is usually comfortable, and you want multiple points of adjustment to fit the harness around each part of your dog’s body. You should also test it out and look for sagging around the chest. 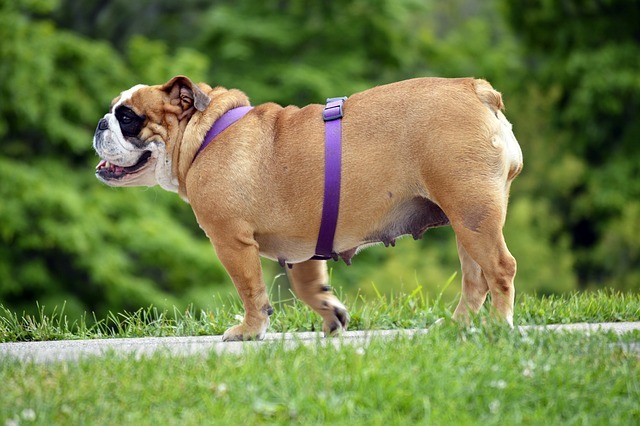 The harness should barely shift position even when your dog pulls on the leash. 4. They’re allergic to the harness material. Dogs can be allergic to a long list of materials used to make harnesses including nylon, certain types of metal, and the chemicals used in dye. If your dog is allergic to their harness, it should be easy to confirm. Check the areas where their skin comes in contact with the material while paying special attention to the sensitive skin in the armpits and around their belly. There’s also the chance of symptoms showing up in other areas where the harness never touches. The face and groin areas are the most common. Signs of an allergic reaction include bald patches, blister-like lesions, hives, or obsessive licking of a specific area. In the meantime, research what kind of material your current harness is made up of and shop for something different. 5. They’ve made a negative association connected to wearing the harness. Dogs don’t have the cognitive ability to recall specific details about a situation, but that doesn’t mean they don’t remember things in their own way. When something bad happens to you, it’s like specific images get burned into your mind. You remember exactly what you were wearing, the exact words that were said, and sometimes random details that stay with you for years. Your dog can’t do that, but what she can do is make positive and negative associations. 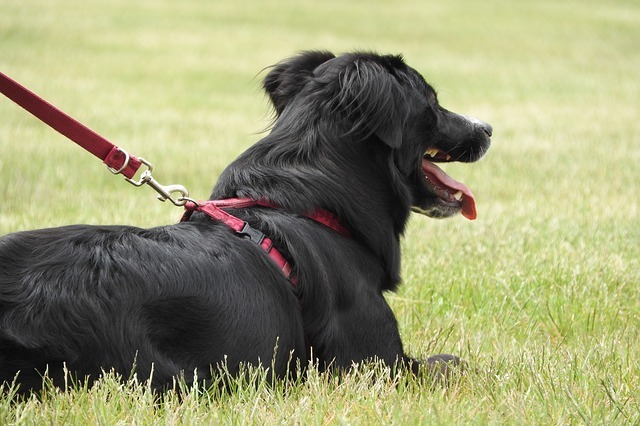 When it comes to the harness, most dogs have positive associations. Being hooked into a harness means they’re going on a walk, and for most dogs, that’s a good thing. In their head, their harness equals going for a walk, and therefore, the harness is something to be excited about. That’s, unfortunately, not always the case. It’s also easy for dogs to make negative associations with their harnesses. They still love going on walks, but if you accidentally pinched their skin while putting their harness on, they might start relating their harness to that brief second of pain. The association might not even be directly related to the harness. It could be that they happened to be wearing it when they were attacked by another dog or scared by a motorcycle. They don’t remember the exact parameters of the incident, but they know their harness was involved in a situation where they felt afraid. That negative association means they now relate their harness to something bad. The only way to help them over that hump is to use desensitization conditioning. 6. They don’t like leaving the house. Whether your dog is tired or afraid, you should talk to a professional. It’s normal for every kind of dog to get tired if they’ve already had a lot of stimulation that day, but it could also be a medical issue keeping your pooch on the couch. And if you think they don’t like their harness because they’re afraid to go on walks, you need a trainer to help them overcome their fear. If any of these explanations fit what’s going on with your dog, start addressing the problem right away. Remember, there’s always a reason behind your dog’s behavior. They’re trying to tell you something, and it’s up to you to translate the message. Both of your lives will be easier and less stressful if you can figure out why your dog hates their harness.